Oh but it did work! I was so happy when I woke up yesterday and found the milk had actually turned into thick, creamy yogurt! I have also made vanilla- and lemon-flavored yogurt by adding pure extracts and a touch of honey for sweetness. Many of the comments said using skim or 1-2% milk will work too, as well as adding unflavored gelatin or a couple tablespoons of powdered milk (when adding the yogurt starter) to make it thicker. Or you can put the yogurt in a coffee filter or cheese cloth to drain the excess whey to make it thicker and sometimes tangier like Greek yogurt. Yum! You will also need a 4-quart crockpot and thick bath towels. Turn off the crockpot and leave for three hours with the cover on. 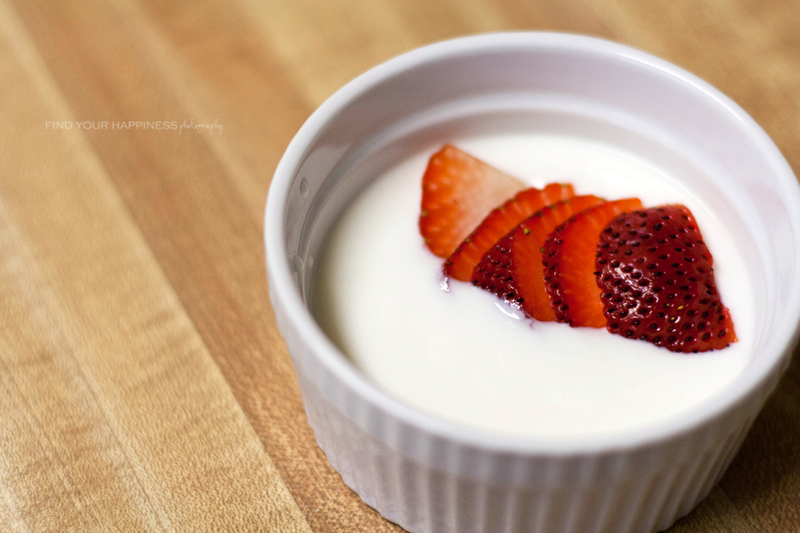 After three hours, take two cups of slightly warm milk and mix in the yogurt. Add the yogurt mixture to the rest of the warm milk in the crockpot and put the lid back on. wow, I don't even like yogurt but that looks and sounds yum! What a fun project. I love your shots too! um YUM! That looks amazing, I'll have to try it! Oh man! That looks so amazing! I need to make that! This is awesome! Thanks for sharing! May have to try this because my girls LOVE yogurt! That first photo is fabulous!! 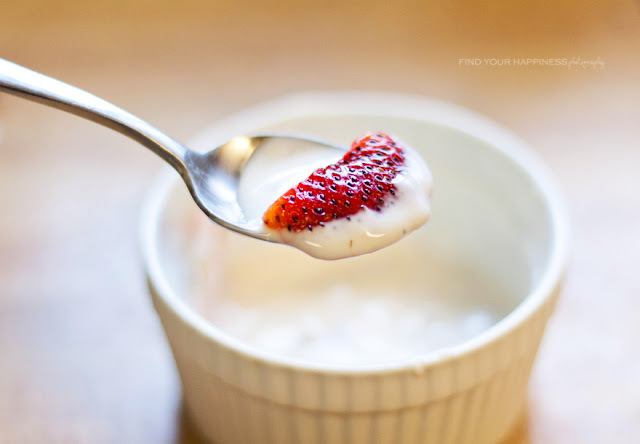 Love the bright red of the strawberry against the white of the yogurt! I'm going to share this on my facebook fan page!! that's just too cool * my little ladies are yogurt queens ... I'll have to try this! 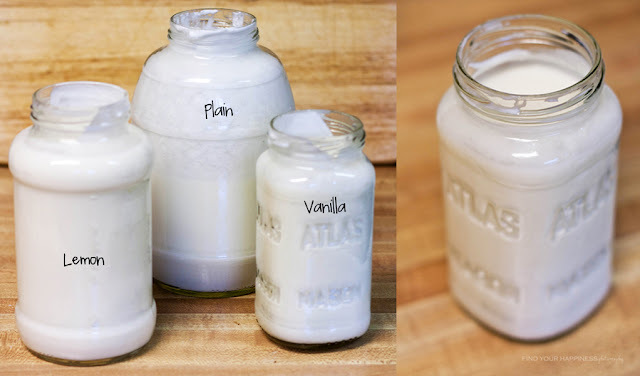 I didn't even KNOW you could make homemade yogurt! Thanks SO much for sharing. Looks like a great project - absolutely can't wait to try when I get home from school next month! I really want to try this! I go through a large Stoneyfield Organic container once a week and it's sort of pricey. I love how you can just keep reserving 1/2 c. of the yogurt to make more! Thanks so much for linking up! ooh, I may have to give this a try! I love that you make things from scratch.